Dr. Hans Labohm writes at the Dutch Standaard that one of the world’s leading geologists, Peter Ziegler of Switzerland, recently made a presentation on the factors driving climate. It’s not CO2, he said. Labohm writes at the Dutch Standaard blog here that Arthur Rörsch and Peter Ziegler have been busy lately with the editors of a special issue of Energy & Environment, where a number of prominent climate skeptics are sharing their views on the factors that determine climate. This publication will be communicated to the members of the UN climate panel (IPCC) in due course. 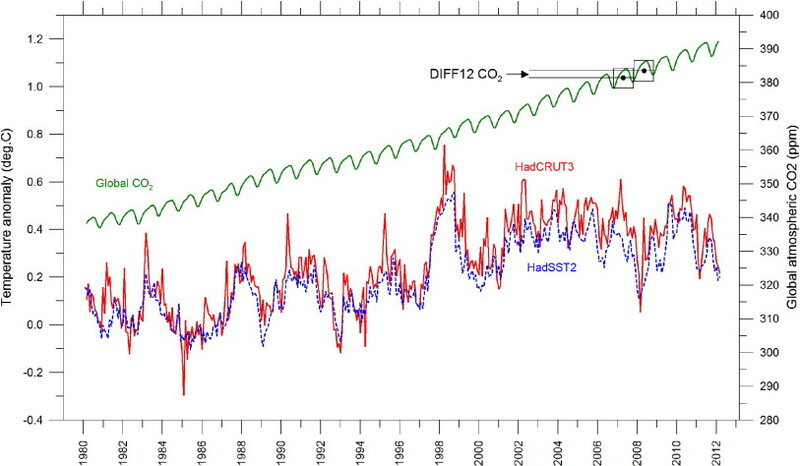 Labohm then writes that Peter Ziegler has also recently completed a presentation based on peer-reviewed literature and current measurements, where he shows that the sun is mainly driving climate change, and not CO2. ● Climate changed in response to natural processes that are active also at present, including variations in solar activity and the galactic cosmic ray [GCR] flux and ocean current oscillations. CO2 LEVEL HOW ABOUT THAT! How About That! Carbon Dioxide Lags Global Temperature! Using data series on atmospheric carbon dioxide and global temperatures we investigate the phase relation (leads/lags) between these for the period January 1980 to December 2011. Ice cores show atmospheric CO2 variations to lag behind atmospheric temperature changes on a century to millennium scale, but modern temperature is expected to lag changes in atmospheric CO2, as the atmospheric temperature increase since about 1975 generally is assumed to be caused by the modern increase in CO2. In our analysis we use eight well-known datasets: 1) globally averaged well-mixed marine boundary layer CO2 data, 2) HadCRUT3 surface air temperature data, 3) GISS surface air temperature data, 4) NCDC surface air temperature data, 5) HadSST2 sea surface data, 6) UAH lower troposphere temperature data series, 7) CDIAC data on release of anthropogene CO2, and 8) GWP data on volcanic eruptions. Annual cycles are present in all datasets except 7) and 8), and to remove the influence of these we analyze 12-month averaged data. We find a high degree of co-variation between all data series except 7) and 8), but with changes in CO2 always lagging changes in temperature. The maximum positive correlation between CO2 and temperature is found for CO2 lagging 11–12 months in relation to global sea surface temperature, 9.5–10 months to global surface air temperature, and about 9 months to global lower troposphere temperature. The correlation between changes in ocean temperatures and atmospheric CO2 is high, but do not explain all observed changes.